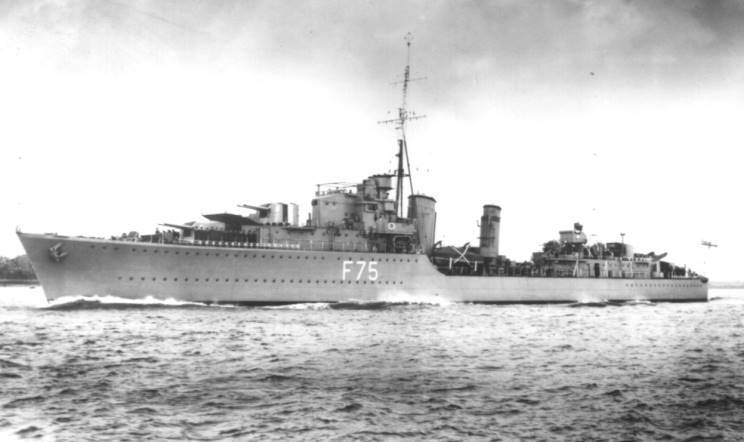 HMS Eskimo F-75 seen in 1939. 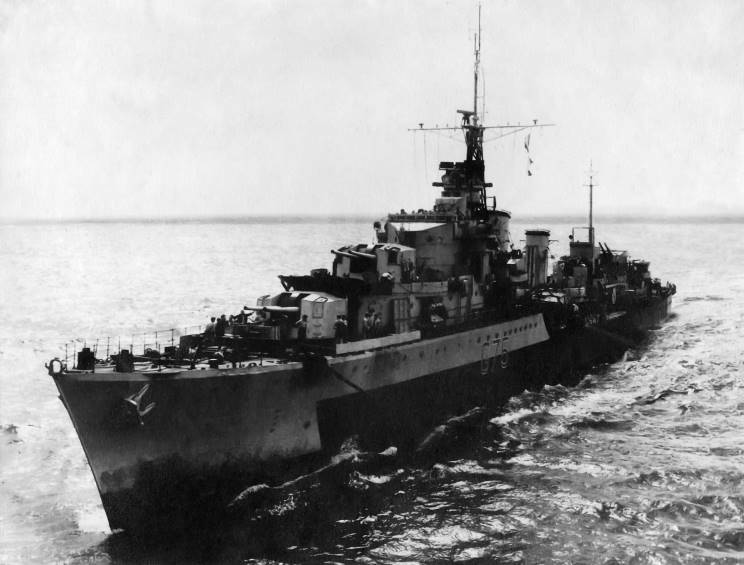 Note B turret is wearing the Neutrality stripes for the Spanish City War. 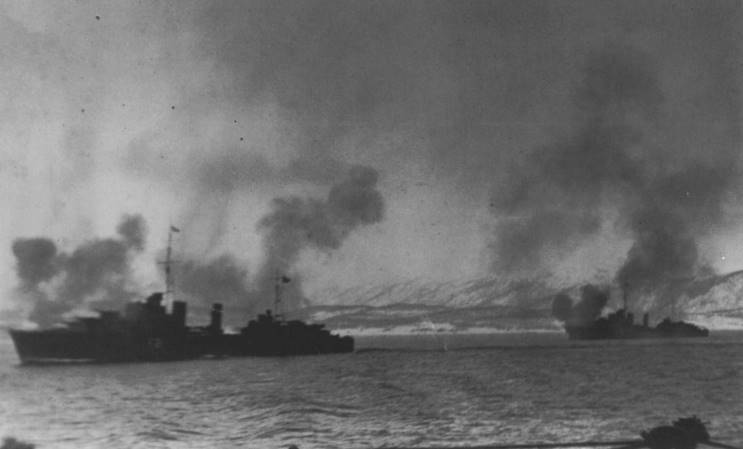 April 1940: HMS Punjabi F-21 (left) and HMS Eskimo F-75 seen off Norway during the Battle of Narvik. 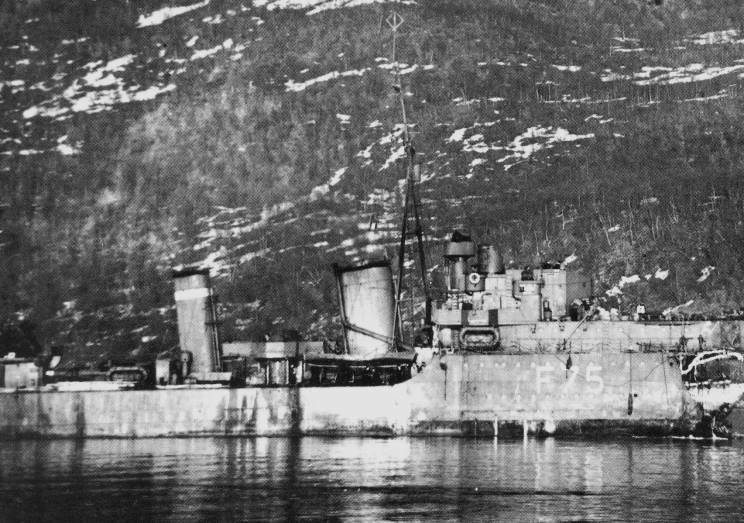 April 13, 1940: HMS Eskimo F-75 seen without her bows after being torpedoed by Z2 Georg Thiele during the Second Battle of Narvik. 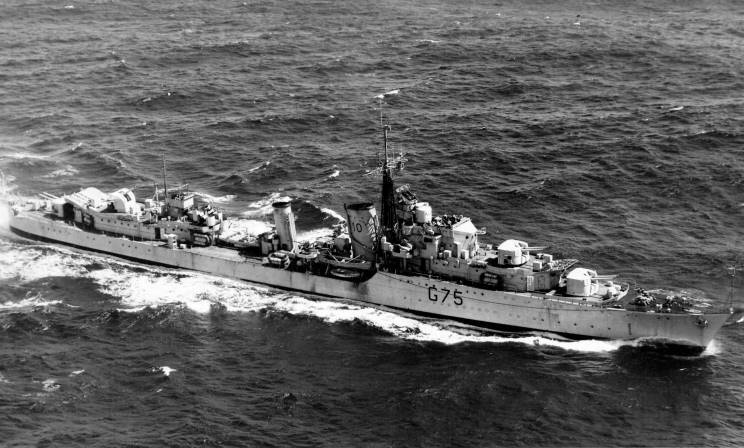 HMS Eskimo G-75 seen between 1940 and 1949. 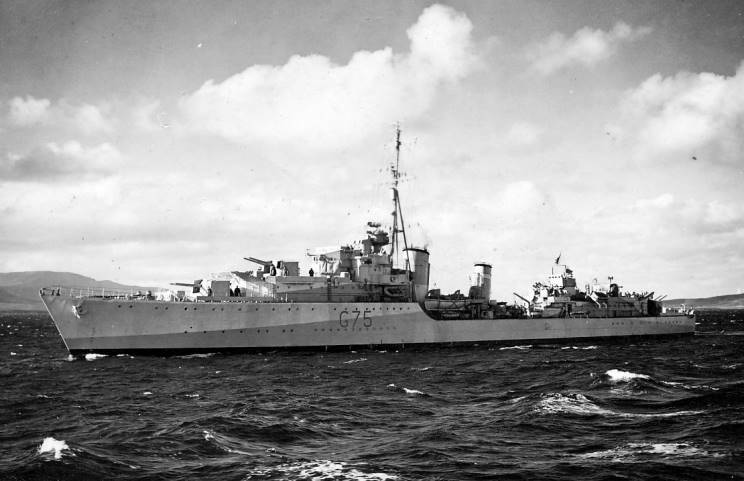 August 1942: HMS Eskimo G-75 seen from HMS Furious during Operation Pedestal. 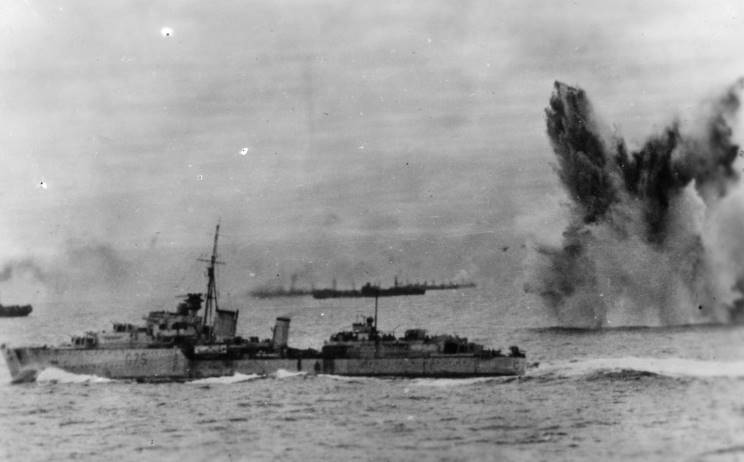 Note the splashes from an aircraft attack.